One concise reference is all you need. Your next Texas zoning law case can be referenced, understood and put into successful practice by consulting the recognized authoriative source on the subject, Texas Municipal Zoning Law. Packed with the most current zoning law information, this must-have reference for Texas real estate practitioners is the definitive source for success in this area of the law. One concise reference is all you need. 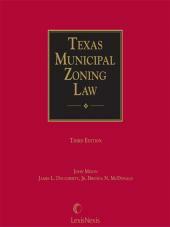 Texas Municipal Zoning Law is an essential tool for real estate practitioners statewide. Widely recongnized as the leading work on Texas zoning law, this all-inclusive reference will assist you in creating, modifying or enforcing local zoning ordinances. You will achieve the most favorable outcome for your clients by consulting Texas Municipal Zoning Law for the most thorough analysis of case law and procedure. Consult the authority on Texas zoning law. John Mixon is a Professor of Law at the University of Houston Law Center, teaching Contracts, Land Finance, Oil & Gas, Real Estate Transactions, and Real Property. He is the co-author of Texas Land Use (1973) and Principles of Environmental Management for Local Governments (1978). He received his J.D. degree from the University of Houston Law Center and an L.L.M. from Yale University. James L. Dougherty, Jr. has practiced municipal and public law since 1976. Until 1984, he worked for the City Attorney of the City of Houston, Texas. Since 1984, he has worked in private practice, mainly with local government entities, including municipalities, utility districts, local government corporations, special-purpose entities and a municipal receiver. 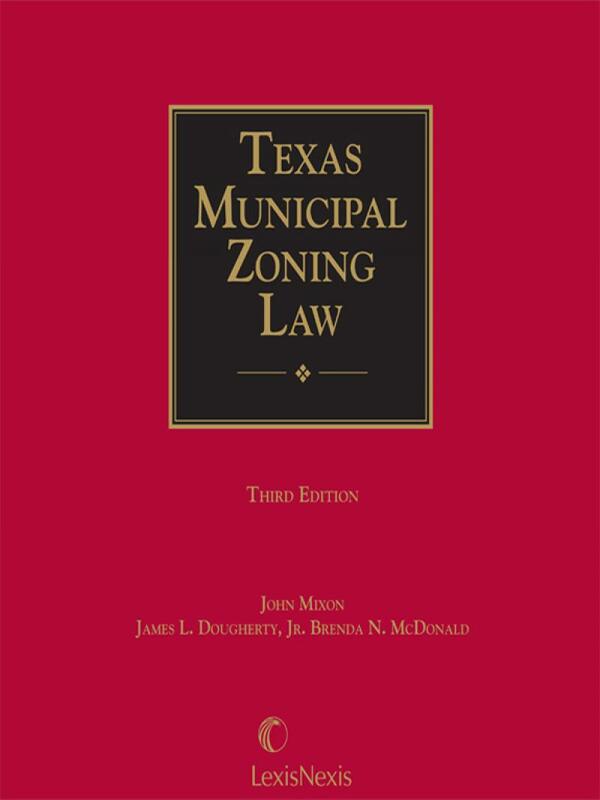 Collaborating with coauthor Brenda N. McDonald and others, Jim prepared a new edition of and updates for Professor John Mixon's standard reference work on municipal zoning in Texas, Texas Municipal Zoning Law, 3rd. Ed. 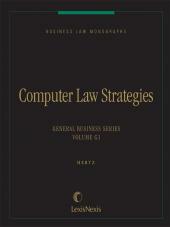 (LexisNexis), which now incorporates Texas Subdivision Platting Law by Reid C. Wilson. Twice a year, Jim prepares comprehensive updates to the treatise. His updates have included special alerts on important topics, including topics related to storms and flooding. Jim serves on the State Bar's Real Estate Legislative Affairs Committee. For each legislative session, the Committee analyzes legislation, prepares a comprehensive report and makes educational presentations. He has presented papers and speeches for the University of Texas CLE programs, State Bar of Texas CLE programs, other CLE programs, Texas chapters of the American Planning Association (APA), the TCAA, and the Real Estate Section of the HBA. He graduated from Lamar High School, Houston, Texas (1968), Princeton University, Princeton, N.J. (A.B. 1972) and the University of Texas Law School, Austin, Texas (J.D. 1975). His memberships include the State Bar of Texas, the American Bar Association (ABA), the Houston Bar Association (HBA), the Texas City Attorney's Association (TCAA) and the International Municipal Lawyers Association (IMLA).